The United States, like almost all industrial countries, built up its infant industries behind protective tariff walls that shielded them from more efficient, because longer-established, competitors. This historical graph shows what has happened since then. 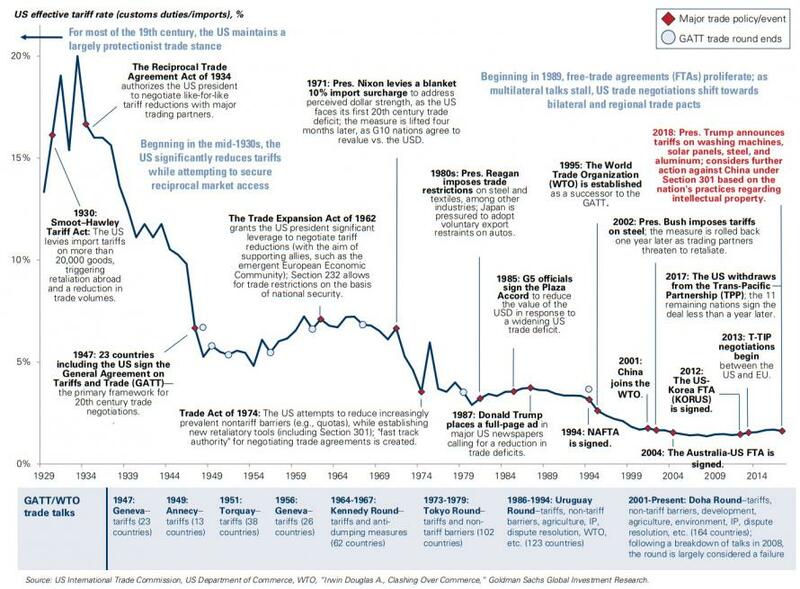 Tariffs against foreign imports are down to a tiny fraction of what they were in the 1930s or 1940s. President Trump deserves credit for forcing trade policy onto the national agenda. Unlike his predecessors, he does not argue that more and more globalization is the answer He is right that it is time for a change. Rather the U.S. should do what successful exporting nations do, which is to build up their industries through a carefully targeted industrial policy. Sometimes I wish I could live for 20 more years to see what the future brings. Most of the time I’m glad I’m 82 and almost certainly won’t. I envision a USA very different from today—one shaped by a catastrophic climate change that can’t be averted, and by an economic collapse that can be averted only by drastic economic and political reforms that seem highly unlikely today. If you want a picture of the future, imagine New York City during the Great Depression being hit by Superstorm Sandy. Catastrophic climate change is usually discussed as a doom that will full upon us unless we accomplish X things by the year Y. In fact, catastrophic climate change is already upon us. We can by our actions influence how bad things are going to get, but existing greenhouse gasses will produce increasing numbers of floods, droughts, heavy snow storms and power outages. We the citizens of Rochester N.Y., located as we are on the southern shore of Lake Ontario, are fortunate. Cities such as Miami and New Orleans will meet the fate of Atlantis, but we have a good chance to survive. We’re not in danger of tidal waves. We have had relatively few severe storms compared to other regions. We have access to a relatively abundant supply of fresh water which, however, we are not caring for. Climate crisis is likely to be combined with financial crisis. Starting with the Reagan administration and especially since the Clinton administration, the U.S. government has turned over management of the economy to the financial markets. 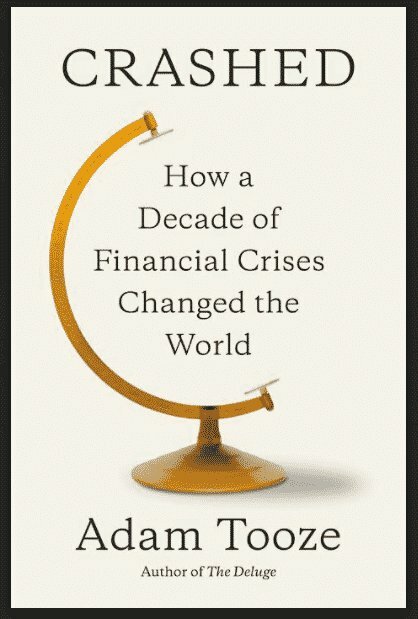 There have been a series of financial crisis, each one worse than the one before. The response of the U.S. government has been to rescue failed financial institutions, and allow the cycles to continue. My great fear during the Cold War was that the totalitarian USSR would outlast the democratic USA. I was afraid that a dictatorship would be able to take a longer view than a democracy, and would be better able to prioritize military and diplomatic power. The philosopher Bertrand Russell, for one, scoffed at these fears. He said that a democracy would always be able to outlast a dictatorship because dictators insulate themselves from bad news, while, in a democracy, contested elections and a free press provide a reality check. The fall of Communism in Europe in 1989-1991 appeared to prove him right. Now the Chinese government has created a new and more effective totalitarianism. It uses social media and other new techniques to control the population more effectively than Mao ever dreamed of—while keeping the old Communist police state as backup. When China joined the World Trade Organization in 2001, Western leaders hoped that as China made economic progress, it would become more liberal and democratic. China has made enormous economic progress. Hundreds of millions of Chinese have been raised from poverty. China is a major manufacturing nation. Economic historian Adam Tooze said Chinese economic expansion was the main force pulling the world out of recession after 2008 and today contributes as much to world economic growth as the USA and Europe put together. The Chinese Belt and Road Initiative, aka the New Silk Road, involves investing more than $1 trillion over the next 10 years to create a railroad, highway, pipeline and electrical grid extending over the whole of the interior of Eurasia, creating an integrated economy centering on China. But if there was a possibility that this would make China more liberal and democratic, President Xi Jinping has moved to head it off. Since 2013, China has been cracking down not only on corruption, but also on human rights lawyers, religious believers and critics o the government. 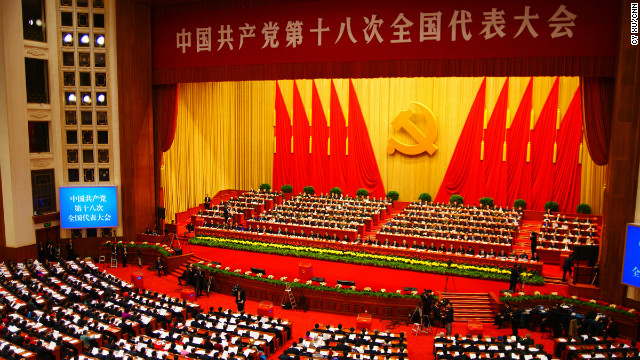 Xi Jinping has abolished the term limits that bound his predecessors and encouraged a Mao-style cult of personality. There are even Institutes for the Study of Xi Jinping Thought. Social media in China are monitored, and the Chinese government is in the process of implementing a scheme by which every Chinese citizen will be given a social credit score, based on an algorithm that takes into account credit history and good citizenship, but also opinions and associations, which can determine access to education, health care, credit and even public transportation. This is powerful, because there is no individual against whom you can protest or to whom you can appeal. In Xinjiang, members of the native Muslim Uighur population can be sent to Mao-style reeducation camps for the least little thing, even wearing a beard. Surveillance cameras using facial recognition technology are everywhere. China’s leaders have found a way to harness capitalism to the service of a capitalist government—much as Lenin tried to do with his New Economic Policy in the 1920s, allowing limited private business but maintaining ultimate control. Maybe the USSR would have become like today’s China if not for Stalin’s forced collectivization drives. There is a possibility that much of the rest of the world may come to regard China as a better example to follow than the United States. Unless things change, the Chinese totalitarian model may prevail not through subversion or military force, but by force of successful example and as a price of doing business with China. There is an old saying, “You can catch more flies with honey than you can with vinegar.” While U.S. government tries to impose its will through threats of military action, covert action and economic sanctions, the Chinese have a long-range strategy based on offering economic incentives. These two videos from Caspian Report give a good idea of what that strategy is and how it works. The key parts of the strategy are the Belt and Road Initiative (aka New Silk Road) for extending roads, rail lines and oil and gas pipelines across the interior of Asia to connect China with other Asian nations, Russia and Europe, and also for buying rights to key seaports in the Indian Ocean and beyond. Another is to finance infrastructure projects to Asian and African nations that can’t get credit from European and U.S. banks. This is not altruistic. It is a means of making China more powerful and secure, and giving the Chinese access to the world’s natural resources. In the long run, leaders of small Third World nations may regret having got into debt to China. But what do the USA—or, for that matter, the European Union—have to offer as an alternative? The great economic historian Adam Tooze, in his just-published book, CRASHED: How a Decade of Financial Crises Changed the World, showed me things I hadn’t known, and made me rethink things I thought I understood. It is a kind of bookend to his earlier book, THE DELUGE: The Great War, America and the Remaking of Global Order, 1916-1931. In the earlier book, Tooze described the continuing debt crisis following World War One, with Germans unable to pay reparations and the Allies unable to pay their war loans, and how the ongoing debt crisis shaped international relations and governmental policy in that era. The United States, as the world’s top industrial power and top creditor nation, dominated the world financial system, but American leaders lacked both the understanding and the political means to resolve the crisis. All the United States could think to do was lend money to Germany to keep the system from crashing. In the end the financial system crashed anyhow.. Prior to the 2008 crash, the United States was in the opposite situation. U.S. industrial power had been hollowed out and the United States was the world’s top debtor nation. Economists feared the “twin deficits”—the U.S. trade deficit and government budget deficit—would cause runaway inflation. This didn’t happen. The U.S. dollar continues to be the medium of world trade, and the financial markets continue to consider U.S. Treasury bonds the world’s safest financial asset. American financial leaders such as Ben Bernanke, Timothy Geithner and Larry Summers acted boldly to meet the crisis. They bailed out banks, stabilized the financial system and averted a 1930s-type great depression, which was a real possibility. That was no small achievement. What they failed to do was to reform the system so as to reduce the possibility of a second crash. I had put the blame for the crash on Clinton-era deregulation, which gave free rein to speculation and to unethical and illegal (but unprosecuted) manipulation of the subprime mortgage market. Financial markets have always been subject to cycles of expansion and recession, but removing the brakes made the crash a disaster instead of just a problem. What I learned from Crashed is that deregulation was international. Prime Minister Margaret Thatcher’s government completely deregulated British financial markets in 1986, in what was called the “Big Bang.” Her hope was to make the City of London, the British equivalent of Wall Street, the world financial center, and she succeeded. 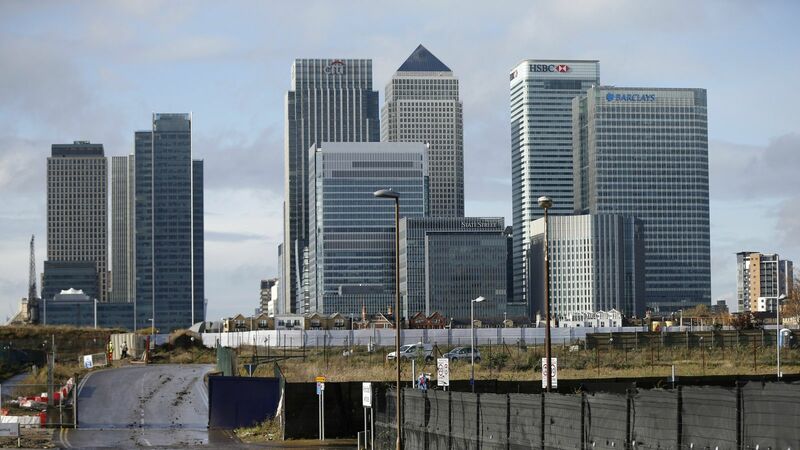 American, European and Asian banks all made London their major hub, even though they did business in dollars. The purpose of Clinton-era regulation was to enable Wall Street to catch up with the City of London. Centrally planned economies didn’t work. Unbridled neoliberal capitalism isn’t working. What will come next? My candidate for the next big thing is some form of radical localism. Small communities would push back against the power of multinational corporations and big government bureaucracies. Ideally their civic and economic life would be based on a mixture of town-meeting democracy, volunteer groups, civic associations, producer cooperatives, consumer cooperatives, individually-owned businesses and large numbers of self-employed workers. A society based on radical localism wouldn’t be capable of building mega-projects or projecting world-wide military power. But it might be more resilient when catastrophic global climate change kicks in, the global supply chains cease to work and dysfunctional national governments lose their legitimacy. Canary Wharf financial district in London. Source: Quartz. Ten years after the financial crisis of 2008, the U.S. government has failed to do anything necessary to avoid a new crisis. I just read an article in the London Review of Books that says that the U.K. government’s policies are just as bad. Like the U.S.-based banks, the British banks engaged in financial engineering that was supposed to create high profit on completely safe investments—which, as experience proved, couldn’t be done. The British government had to bail out the banking system in order to save the economy. There probably was no alternative to that. But it then proceeded to put things back just the way they were before. 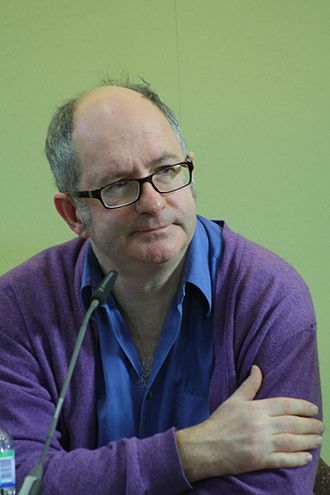 John Lanchester, the LRB writer, said there was no attempt at “ring fencing”—what we Americans call firewalls—to split up investment banks, which speculated on the financial markets, and retail banks, which granted small business loans, home mortgages and other services to the real economy. The UK, like the US, engaged in “quantitative easing”—injection of money into the banking system through buying bonds. The basic idea was that if banks and corporations had more money to invest, they would invest more, and the economy would grow. This didn’t happen. Instead banks and corporations bid up the prices of existing financial assets and real estate, which added to the wealth of the already rich. Ordinary Britons faced austerity. Their government cut back on the social safety net and public services. British life expectancy, like American life expectancy, has actually fallen. The British, like us Americans, had 10 years to fix their financial system. Like us, they wasted the opportunity. Now it may be too late to avert the next crash—even if the UK and US governments wanted to act. After the Fall: Ten Years After the Crash by John Lanchester for the London Review of Books. Well worth reading in detail. Hat tip to Steve B. Ever since the 2008 crash, the Federal Reserve Board has had the U.S. financial markets on life support. The Fed has used its influence on the banking system and bond market to drive interest rates down to near zero. Taking inflation into account, many interest rates are less than zero. This drives investors who want a return on their investment into the stock market, and the fact that we’re in the market helps keep prices up. But the rise in stock prices is not based on profitability of underlying businesses. The idea is that low interest rates and a rising stock market will encourage new investment and a growth in the real economy. But when the Fed hints that it may allow interest rates to return to normal levels, investors panic and the market falls. Another way the Fed has tried to stimulate the economy is by “qualitative easing”—buying up banks’ so-called toxic investments. This is supposed to empower the bankers to find better investments, which would enable the economy to grow. But this was never a requirement. Right now wages are rising and unemployment is falling. It would be great if this continued for a long period of time. Artificially low interest rates cannot go on forever and, as Stein’s Law says, if something cannot go on forever, someday it will stop. Donald Trump and the Next Crash: Making the Fed an Instrument for Disaster by Nomi Prins for TomDispatch. The mini crash and class warfare by Larry Beinart for Al Jazeera. Economist Michael Hudson had a good explanation of how excess private debt leads to economic stagnation. If private debt grows faster than GDP, the debt/GDP ratio will rise. This stifles markets, and hence employment. Wages fall as a share of GDP. This is precisely what is happening. But mainstream models ignore the overgrowth of debt, as if the economy operates on a barter basis. [Australian economist Steve] Keen calls this “the barter illusion,” and reviews his wonderful exchange with Paul Krugman (who plays the role of an intellectual Bambi to Keen’s Godzilla). Krugman insists that banks do not create credit but merely recycle savings – as if they are savings banks, not commercial banks. It is the old logic that debt doesn’t matter because “we” owe the debt to “ourselves.” The “we” are the 99%, the “ourselves” are the 1%. Krugman calls them “patient” savers vs “impatient” borrowers, blaming the malstructured economy on personal psychology of indebted victims having to work for a living and spend their working lives paying off the debt needed to obtain debt-leveraged homes of their own, debt-leveraged education and other basic living costs. 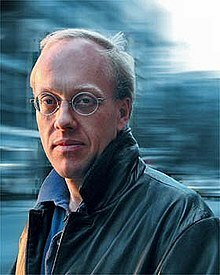 Hudson has written extensively about debt, and how unpayable debt leads to financial crises. As he is fond of saying, debts that can’t be paid won’t be paid. Another financial crash is coming and it will be as bad or worse than the 2008 recession. Growing concentration of wealth, which depresses the mass consumer market. Growing debt, which can’t be repaid. Reckless financial speculation, encouraged by lack of regulation and the expectation of another bailout. A negative balance of trade, and a continuing overall weakness of the U.S. economy. Lack of sufficient firewalls and safety nets to prevent cascading bankruptcies and financial failures. Rich people on average spend less of their incomes than middle-class or poor people. Once you get above a certain level, spending more money on yourself doesn’t make you happier. You instead reinvest it so as to become even richer. Middle-class people spend most of what they earn in order to maintain a middle-class material standard of living. 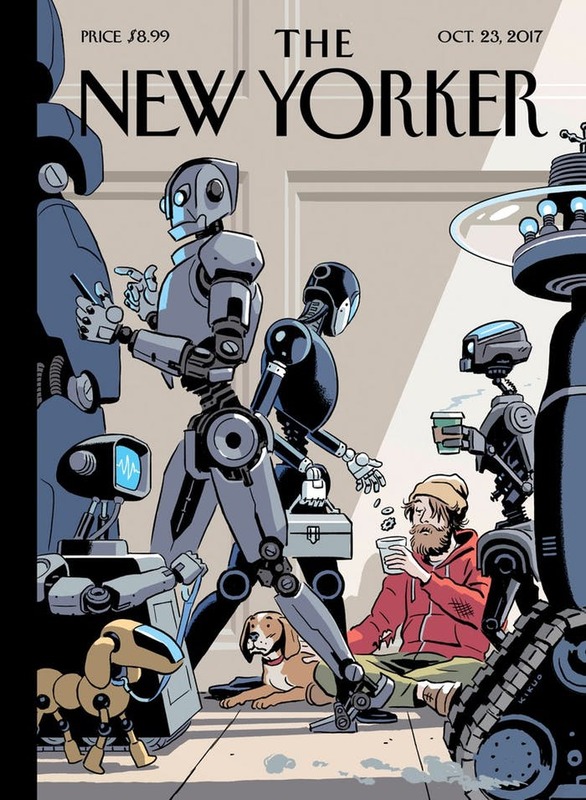 They are the ones who sustain the mass consumer market, which is the engine of American prosperity. Poor people need to spend all they have just to survive. 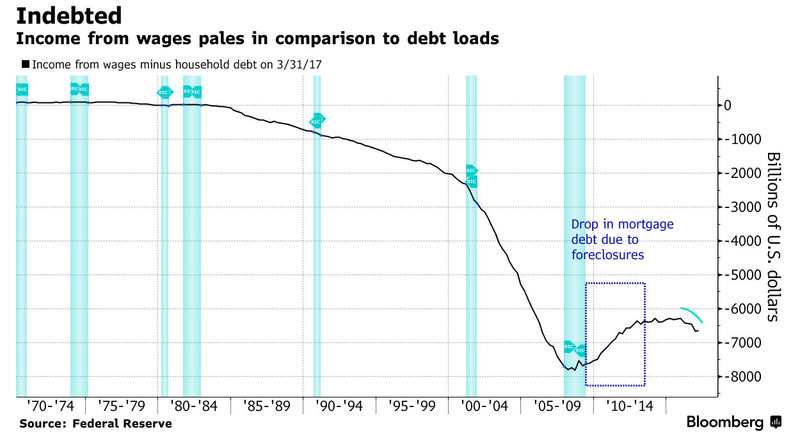 When incomes don’t rise, middle-class people maintain their material standard of living through borrowing. But this has limits. A Goldman Sachs report says that the way for biotech companies is through medical treatments, not medical cures. Selling medical treatments provides a stream of income that continues indefinitely. Selling medical cures provides one-time sources of income, and even these may dry up if the disease disappears. The moral feelings of any normal person will be outraged by this, but the logic is watertight, obvious and, according to the report, supported by experience. You can’t stop for-profit companies in a free enterprise economy from pursuing the course that is most profitable, and you can’t stop analysts for investment companies from noticing the most profitable course. Since cures are better than treatments (although treatments are useful), how can resources be shifted to cures? A free market fundamentalist would say that the solution is to raise prices of cures to equal the lifetime cost of a treatment, plus a premium. A neoliberal would propose subsidizing biotech companies’ work on cures. A left-wing liberal would propose requiring biotech companies to devote a certain percentage of their research budgets to working on cures. A radical would say that for profit-companies operating in a free market cannot be counted on to produce cures, and we should look instead to government or philanthropic institutions if we want a cure for cancer, AIDS or other life-threatening diseases. Historically few if any medical breakthroughs have come from for-profit companies. Dr. Jonas Salk developed the Salk vaccine for polio as head of a research laboratory at the University of Pittsburgh. Dr. Alexander Fleming, the discoverer of penicillin, was a professor of bacteriology at St. Mary’s Hospital in London. Penicillin and other antibiotics came into widespread use through efforts of the U.S. military during World War Two. Probably the most profitable and widespread drug developed by a private company was aspirin—a great example of a drug that generates a continuing revenue stream. Aspirin of course is of great benefit. It’s just not the same thing as the Salk vaccine or penicillin. So here again, the supposedly radical policy is to adopt time-tested policies that have worked in the past, while the supposedly un-radical policies are justified by theory and not by experience. 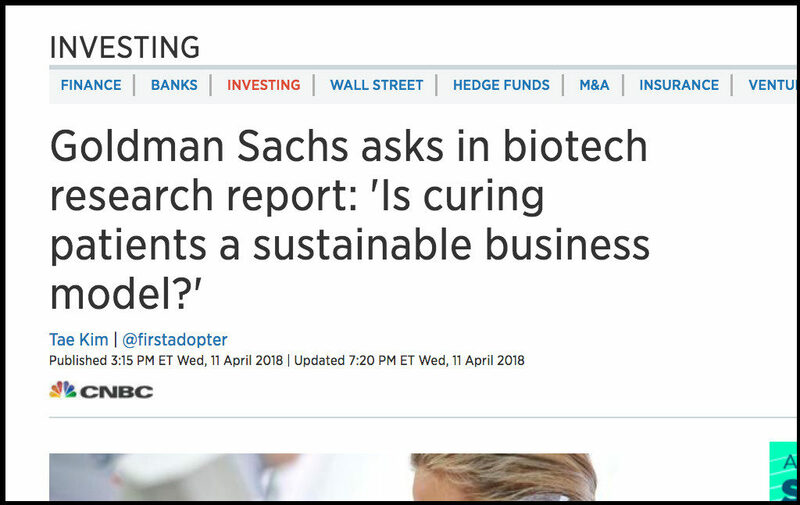 Goldman Sachs report asks: ‘Is curing patients a sustainable business model?’ by Tae Kim for CNBC. 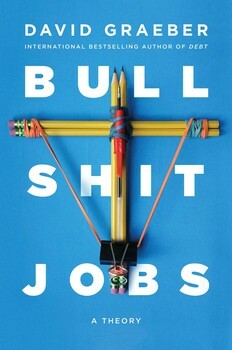 When What’s Good for the World Is Bad for Business by Nathan J. Robinson for Current Affairs. I forgot to mention the most striking metaphor in Jordan Peterson’s 12 Rules for Life—the struggle for dominance among lobsters. Hierarchy is a law of nature, Peterson wrote; it is hard-wired in our brains by the evolutionary process. It manifests itself not only as top dogs and pecking orders, but the struggle for dominance of our distant ancestor, the humble lobster. Lobsters, it seems, compete for the best nesting places where they can be safe when they are shedding their shells. The winners are lobsters with the biggest claws and a level of confidence produced by a substance called serotonin. Sub-dominant lobsters not only fail to get good nesting places, but their level of serotonin drops so they can adjust to their lowly status. Not only that, lobsters respond to Prozac. So don’t be a loser lobster, Peterson says; stand up for yourself. It’s true, as he says, that human beings compete for dominance in subtle and not-so-subtle ways. Everybody can see this. I’ll never again observe a certain type of (usually) male behavior without forming a picture in my mind of a giant humanoid cartoon lobster, waving its claws. And it’s also true that the human body produces serotonin. But current thinking is that serotonin has little to do with mental states. In human beings, its main function is to aid digestion. Also, even though lobsters respond to Prozac, there is no evidence that it makes them happier. 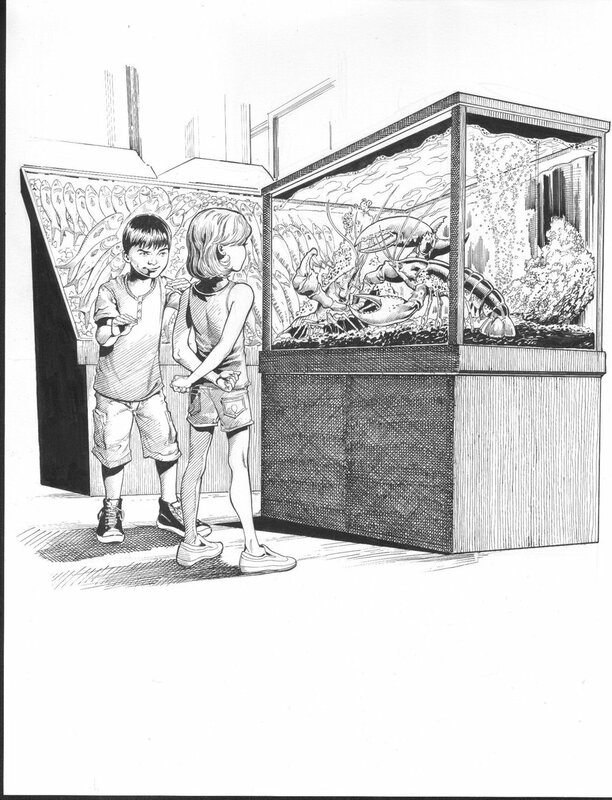 Also, the lobster species is not the ancestor of the human species. Peterson, to his credit, does not advocate being at the top of a dominance hierarcy as a life goal. That way lies fascism by way of social Darwinism. What he says is that life is tough and you need to be able to stand up for yourself. Where he goes wrong is to claim dominance and hierarchy in the animal kingdom have any relevance to current arguments about economic inequality. It is true that, within any group, there will be one or more persons who are more competent and confident than the others, and they will emerge as leaders. But that has nothing to do with questions of the power of money in politics, the abuse of power by government or the growth of income inequality. The current distribution of wealth and power in the USA and other countries does not reflect constants of human nature; it is the result of governmental and corporate policies during the past 35 years. 12 Rules for Life is inspirational, and Peterson mostly speaks good sense when he is dealing with matters of which he has personal experience or has studied deeply. But on issues of economics and politics, he seems not to know what he doesn’t know. Psychologist Jordan Peterson says lobsters help to explain human hierarchies – do they? by Leonor Gonçalves for The Conversation. Three More Reasons for Wealth-Deprived Americans to Take to the Streets by Paul Buchheit for AlterNet. The real issues in the inequality debate. 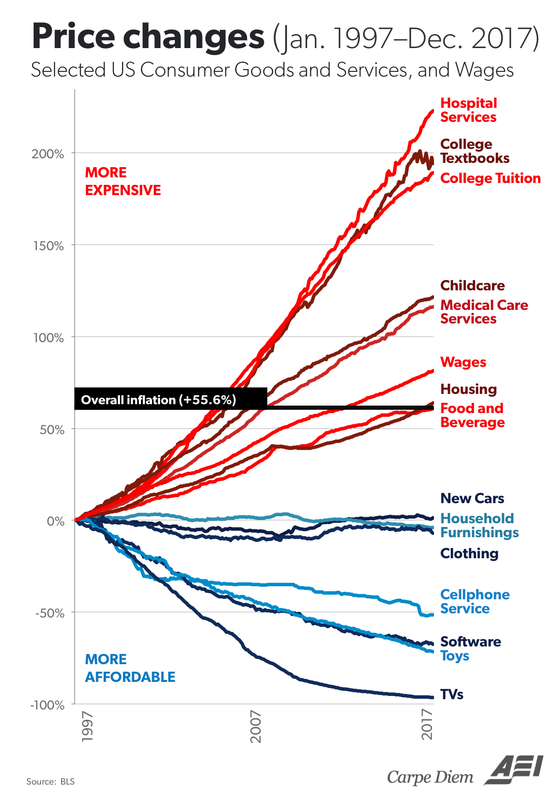 Economist Mark J. Perry, who posted this chart on the American Enterprise Institute’s Ideas blog, argued that prices are highest in the economic sectors that are most heavily regulated. One possible explanation of the price difference is Baumol’s Cost Disease, the tendency of the cost of human services to rise relative to the cost of manufactured goods. That’s not the whole story. The fact is that European countries that most Americans would consider socialist have free or affordable medical care and free or affordable higher education. And it is not a case of costs being shifted from patients and students onto taxpayers. Overall costs of health care and higher education are less in so-called socialist European countries (I write “so-called” because most of them have self-described conservative governments). The reasons why health care costs less in those European countries than in the USA is that there are no for-profit insurance companies standing between the patient and the physician, that European countries control prescription drug prices and that the incomes of physicians and other health care providers are less. My guess is that European universities cost less because they provide a no-frills education without spending huge sums on sports stadiums and student amenities. My other guess is that their hospitals and universities are not so top-heavy with highly-paid administrators. In and of itself, government regulation is neither good nor bad. It depends on what is being regulated, how it is being regulated and in whose interest it is being regulated. Chart of the day (century? ): Price changes 1997 to 2017 by Mark J. Perry for AEI Ideas. Mark Perry Has Never Heard of William Baumol by ProGrowth Liberal for Angry Bear. Research by the economist Gabriel Zucman shows that tax havens are big business. 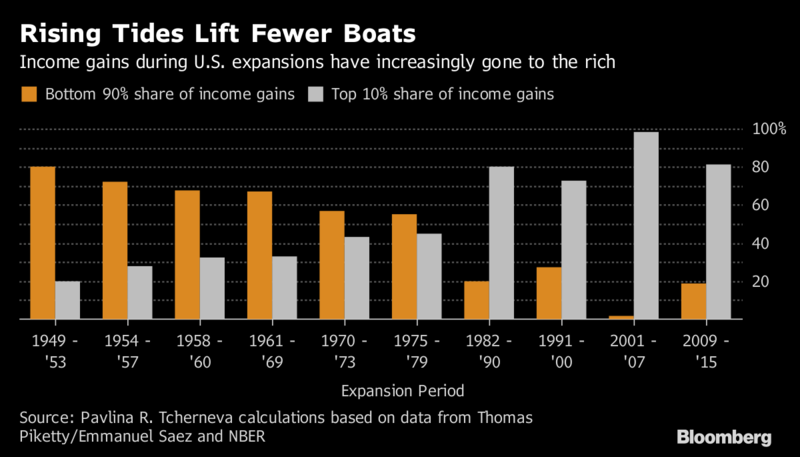 He concludes that they substantially increase the after-tax income of the top 0.01 percent of the world’s population and that they enable U.S. and other corporations to evade taxes on nearly half their income from foreign operations. 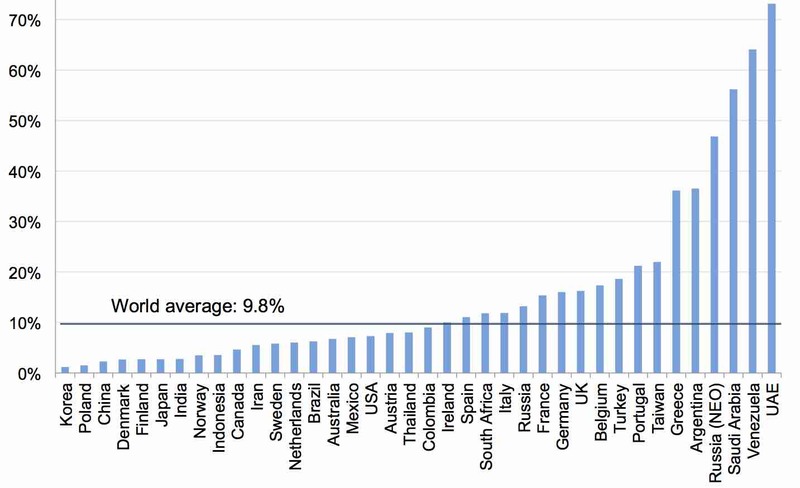 Offshore wealth as % of GDP. Source: Gabriel Zucman. Click to enlarge. Zucman is a respected economist I’m not able to evaluate his estimates based on my own knowledge, or to meaningfully compare his figures with those of the Tax Justice Network and other sources. But there’s no doubt that ultra-rich individuals and powerful corporations are able to keep a lot of their wealth hidden from view. 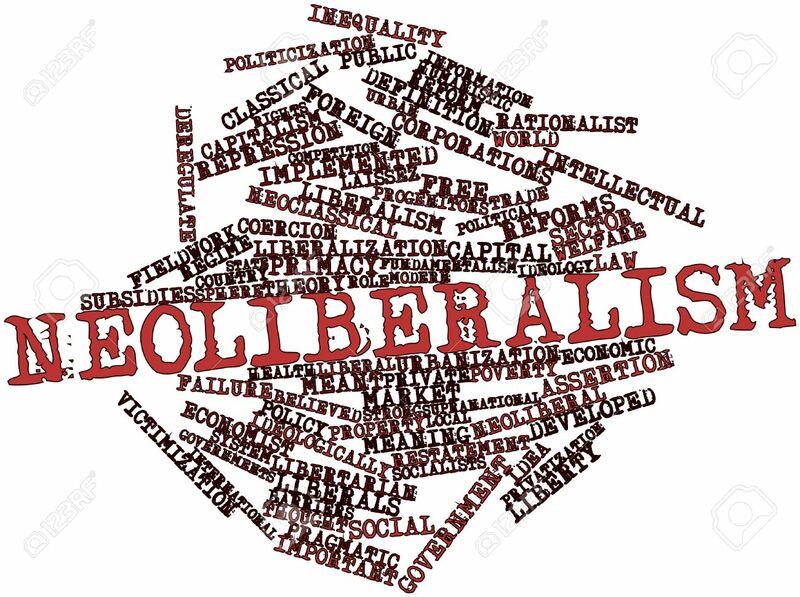 The common mistake about neoliberal ideology is to think that it is about nothing more than unrestricted free markets. In fact, neoliberalism is about unrestricted accumulation of capital. Concentration of wealth at the top is an intended, not an unintended, consequence. The idea is that of classical economics’ three sources of wealth – land, labor and capital – it is capital that is the force multiplier. Capital investment, as Karl Marx recognized in the Communist Manifesto, is what has increased the total amount of wealth available to humanity in the modern capitalist era. What neoliberals say is that this process can and should continue, with capital remaining in private hands. That is why neoliberals advocate upper-bracket tax cuts and government austerity, and oppose minimum wage laws and labor unions. Working people only waste their wages on their personal needs, neoliberals think; capitalists invest and increase the wealth of society. That is neoliberals they advocate bailing out banks in the USA and Europe, while insisting that home mortgages, student loans and the debt of nations such as Greece by repaid to the last penny. There is logic to this, once you accept the underlying assumptions. The wrongness of this idea is shown, not by economic theory, but by the history of the last 40 years. We have had increasing austerity and increased concentration of wealth in the upper brackets, but the investment needs of the USA and other advanced countries are unmet. International financial organizations such as the International Monetary Fund and the World Trade Organization have come to be a kind of world government, dictating policy to supposedly sovereign governments. 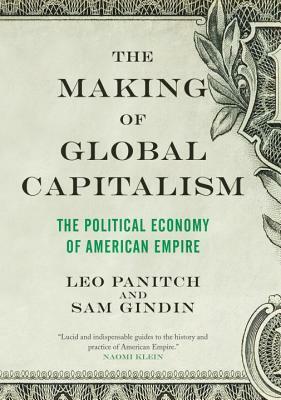 I recently read a book, The Making of Global Capitalism (2012) by two Canadian leftists named Leo Panitch and Sam Gindin, on how this came about. I thank my friend Tim Mullins for recommending it. It’s quite a story. It is not well understood. The first part of the story is the U.S. New Deal. President Franklin Roosevelt and the Democratic Congress gave the U.S. Treasury Department and the Federal Reserve System the authority they needed to stabilize the crumbling U.S. financial and banking system. The second part is the 30 years following World War Two. Under the leadership of the U.S. Treasury and Federal Reserve, international financial institutions were created that duplicated the U.S. system. They presided over the era of greatest peace and prosperity that North Americans and Europeans had ever since. The third part is what happened after that. The world’s financial system endures a series of ever-greater financial crises. To deal with them, international financial institutions demand the surrender of gains made by American and European workers and the middle class in the earlier era. The irony is that a financial governing structure created by American power is now stronger than ever, while the actual American economy is rotting away beneath it. Panitch and Gindin described in great detail how this happened, step-by-step,.